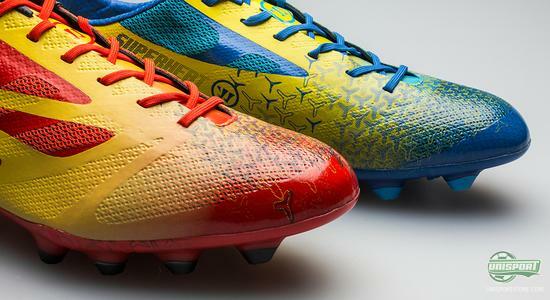 Warrior Sports are now bringing some heat to the lightweight boot market with a brand new Superheat boot, which we have taken a closer look at. You can say a lot, but the battle on the lightweight market is surely intensifying. It is a tough battle to join, but the American Warrior Sports are more than ready to enter the lightweight battlegrounds. 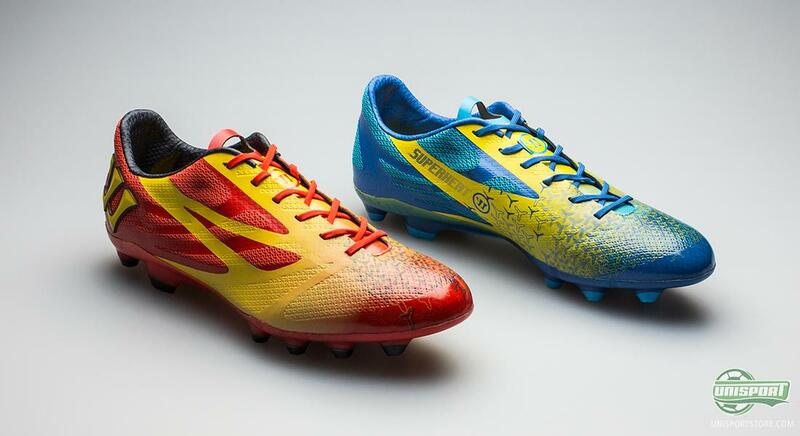 With the brand new Warrior Sports Superheat the put out a boot that is not only light, but also has some innovative technologies to take up the fight with Nike, Adidas and Puma. 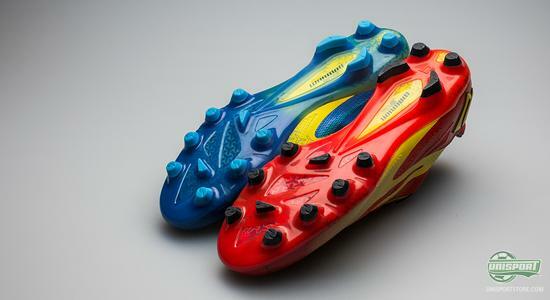 Warrior Sports Superheat is first and foremost eye-catching due to its super sharp and daring look. Warrior Sports are starting to become known for not being afraid to go for the daring design choices, and this boot is no exception to this. 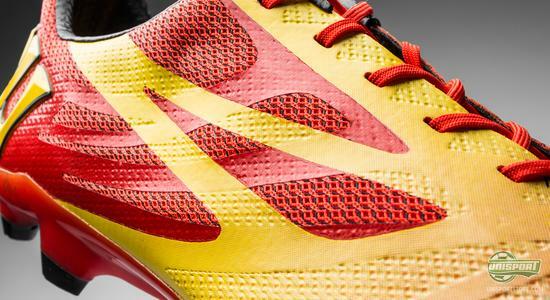 The comes off as speedy and ready to react in a combination of red and yellow that result in a boot that actually looks like a fiery flame. 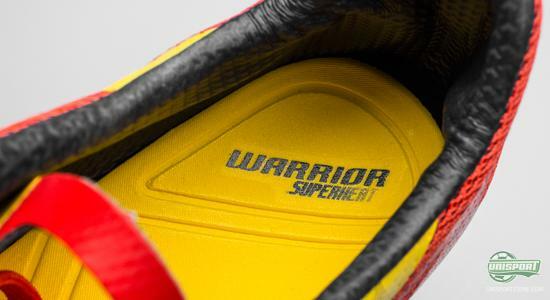 Are you looking to get your hands on the new Warrior Sports Superheat, then you can see much more right here: - price 164. 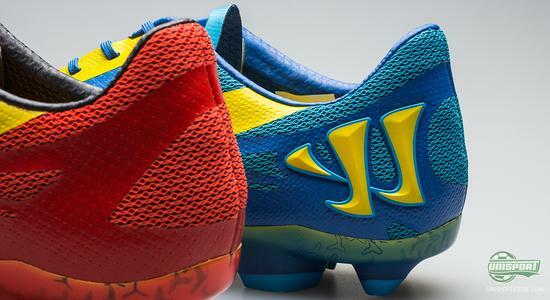 Are you not really into the red colours, then the boot also comes in an elegant combination of blue and yellow. It is rather evident that Warrior Sports have found inspiration in the elements of the earth, and this blue colour reminds us of a strong and wild wave, majestically moving forward. Both water and fire move fast, and you are also meant to race across the pitch with the new Superheat, as if you were running away from a fire and a gigantic wave. 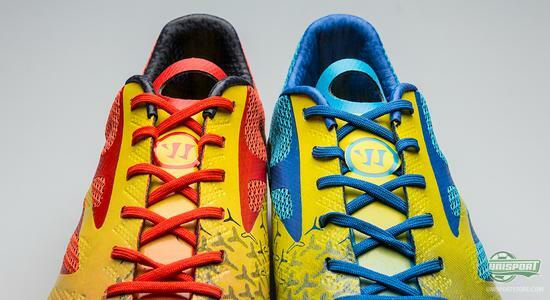 Warrior Sports have been working intensively on minimising the weight of the boot  but after having put in on the weight, where it showed 215 grams, the Superheat is slightly heavier than it competitors. The new Warrior Sports Superheat has a very thin microfibre upper, which serves to provide a sharp touch on the ball and good comfort. The upper is know as Warrior Sports' Trifusion, which is made to give you lots of speed, as you are travelling with the ball at your feet. 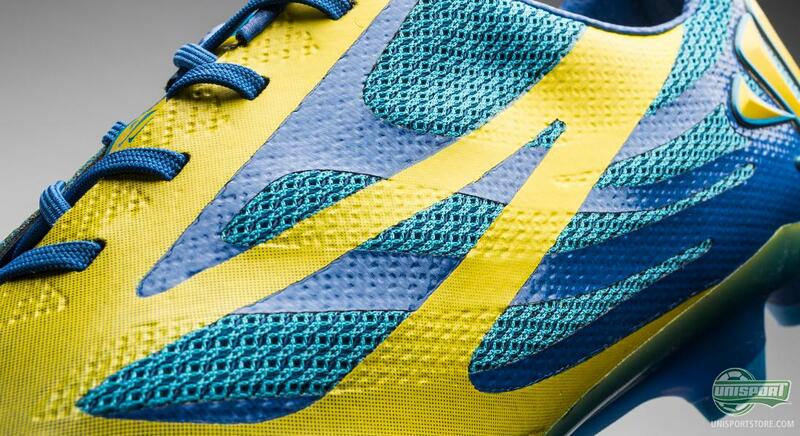 In addition, you will also see a very light and thin mesh-material called Neoweb, on the upper. On top of being light this material also excels by being water repellent. In addition, it is made to shape itself according to your foot to provide the best possible fit. The yellow stripes on the upper are also not just decoration. It is a very thin foil-material, which serves to increase your ball control. Warrior calls it Organitouch, and it serves to provide a sharp and more precise touch on the ball and optimal control in all facets of the game. When you are quick you will often times be subject to kicks and knocks from your opponents and Warrior Sports have worked on increasing the support around the heel area, so you will experience a good support in the boot and is less prone to dirty play, as well as accidental kicks and knocks. Warrior Sports have added a Membrane Heel Shield to the heel, which will serve to maximise protection. The sole is made to be both durable and super quick, and this is combined with the Warrior Sports Clawtech stud configuration, which is made to penetrate the ground as fast as possible to ensure the best possible kick-off and hereby acceleration. The studs are a mix of conical and bladed studs, and there's plenty of them, so you can be sure to get a good pitch grip. With this new boot, Warrior Sports have seriously entered the battlefield, also known as the lightweight boot market, and it will be interesting to follow how the boot will be received. 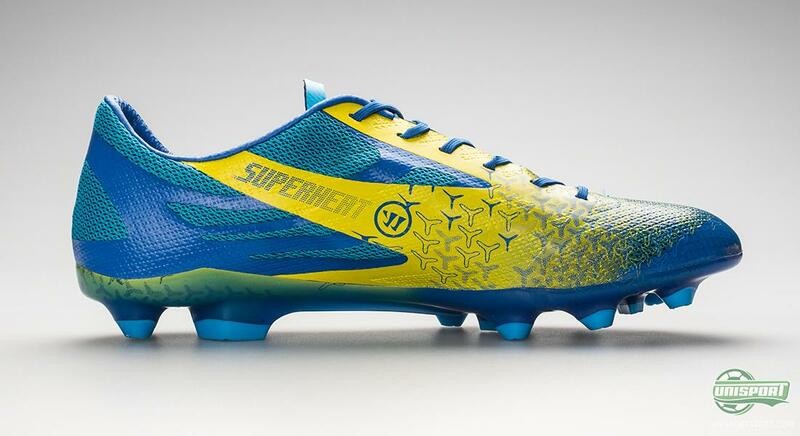 So far, Warrior Sports have already secured players like Vincent Kompany, Marouane Fellaini and Tim Cahill, who are wearing the Screamer and the Gambler models, so the question now is, if more players are gonna go for Warrior Sports now with the new Superheat boot. 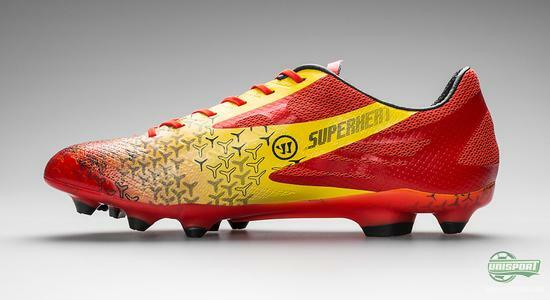 The new Warrior Sports Superheat is a boot that is ready to taken on the fight against the other lightweight boots from Nike, Adidas and Puma. 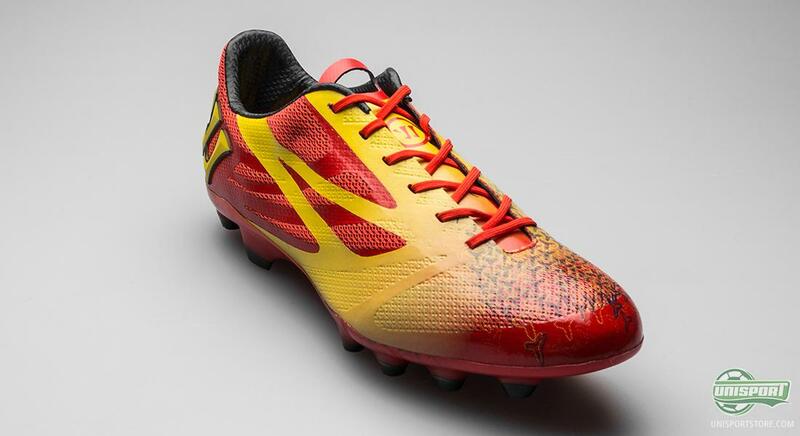 What do you think of the boot? And what lightweight boot do you prefer? Feel free to drop a comment either here, or on Facebook and Twitter.